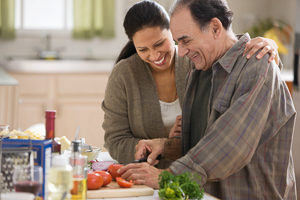 There are lots of things you can do to lower your risk for coronary artery disease. But some diets and natural health products do not lower risk. It's not clear if vitamins, minerals, and multivitamins can lower risk. Talk with your doctor about the best ways to lower your risk of heart disease. By eating heart-healthy foods, most people can lower their risk and get all of the nutrients they need. Other proven ways to lower risk include being active, staying at a healthy weight, and not smoking. High-protein diets. These diets limit healthy foods such as fruits and vegetables. And they don't include essential vitamins, minerals, and fibre. The American Heart Association does not recommend high-protein diets. It is clear that taking some natural health products does not lower the risk of heart disease, heart attack, and stroke. It is not clear if taking other natural health products can lower risk. There is not enough evidence to show that they work or don't work. Bravata DM, et al. (2003). Efficacy and safety of low-carbohydrate diets: A systematic review. JAMA, 289(14): 1837–1850. Fish oil supplements (2012). The Medical Letter on Drugs and Therapies, 54 (1401): 83–84.